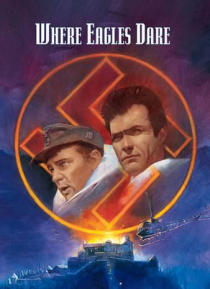 Clint Eastwood and Richard Burton lead a small group of Allied paratroopers deep into enemy territory to rescue an American general held captive by the Nazis in a castle in the Bavarian Alps. With Mary Ure. An action-packed thrill ride written by best-selling author Allistair MacLean.